The new Cartier Love Quartz Diamonds White Gold Ladies Watch WE800331 is a classic design with a little extra. If you are looking for a beautiful ladies dress watch, with the sparkle of added diamonds, you should consider this timepiece. The soft sheen of the black satin (toile) strap forms an elegant contrast with the white gold case, and 18 small diamonds on the bezel. This is a watch that will look sophisticated with eveningwear, and will not overwhelm your wrist with excess flashiness or weight. The white gold case is also good news for those of us who look better in silver-toned jewelry, or who simply prefer it to yellow gold. 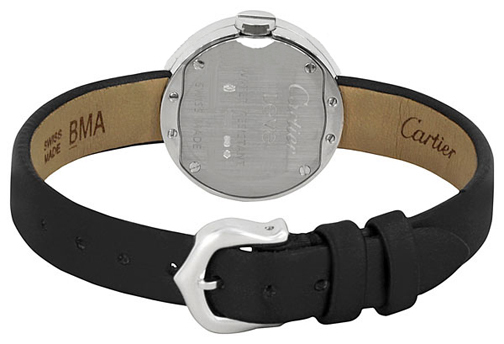 The bezel comes complete with the Love Collection trademark, 6 small screws, modeled after the 1970s bracelet, which could only be opened with a tiny screwdriver. Of course, on the bezel of this watch, they serve no function other than decoration. Whether you prefer to ignore or embrace the symbolism, this watch offers easy readability with its silver-white dial and black Roman numeral markers for each hour. The blue steel hour and minute hands also ensure clear visibility in all light. One of several variations of Cartier's Love Watch available. Drawbacks to this watch are few. It is clearly a dress watch, and not intended for daily casual or general business wear. If you want a watch specifically for more dressy occasions, however, this could be a great choice. The case is also water resistant to 100 feet, but the strap is not as resilient, and should be treated as you would a leather watchband. The retail price of this watch is $12,300. 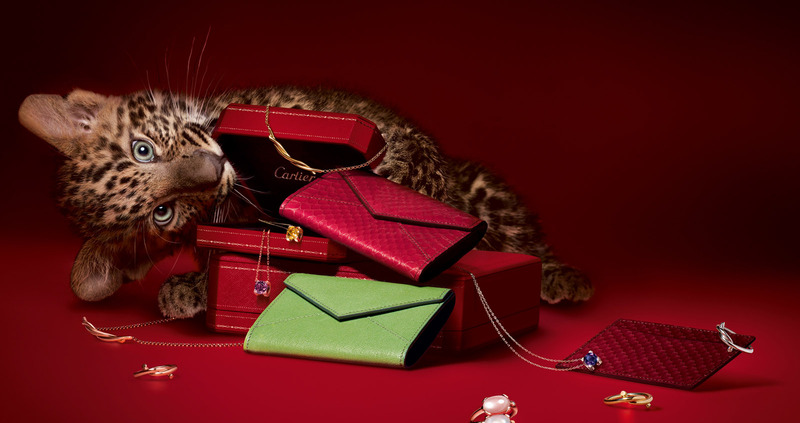 It is not yet listed on Cartier.com, as of this writing, but can be purchased online from several different vendors at a considerable discount. Keep in mind, it is important to make certain that you are purchasing from a reputable dealer, to ensure authenticity as well as the warranty and other paperwork, which should accompany this timepiece.